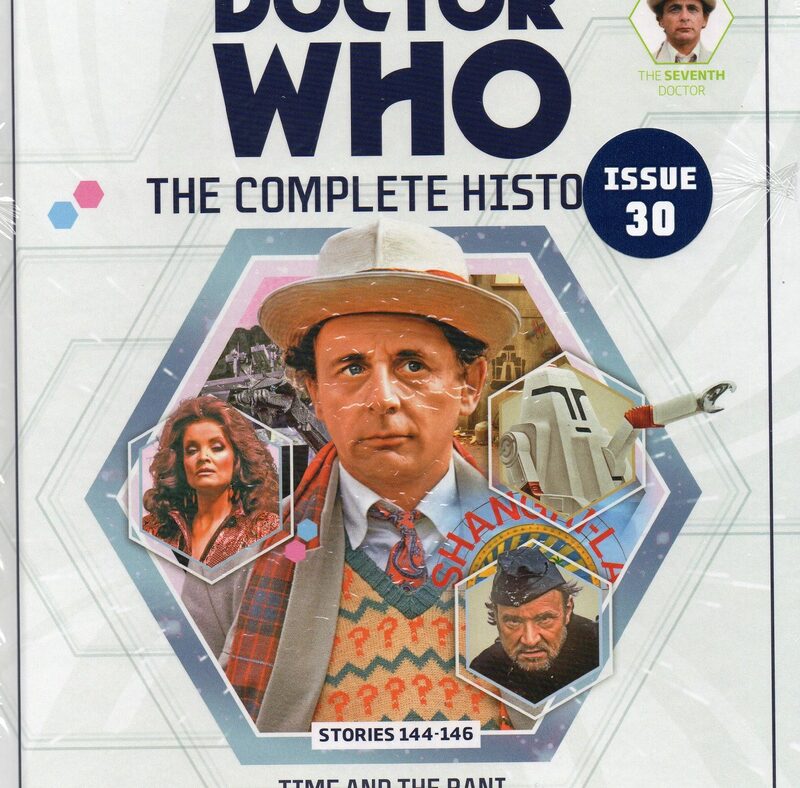 Issue 30 of the 80-issue partwork, Doctor Who: The Complete History, welcomes in the Seventh Doctor’s era, with behind-the-scenes details on the first three stories featuring Sylvester McCoy. It’s no secret that Season 24 wasn’t the most critically-acclaimed run of stories, but I think there’s something to enjoy in all those serials, which, following the Sixth Doctor’s tenure, threw the switch in the opposite direction, and gave us social/political science-fiction… with the odd giant bat here and there. 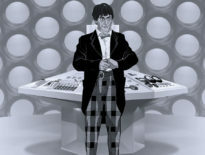 The TARDIS is forced down on the planet Lakertya by the Rani where the Doctor regenerated into his seventh body. Masquerading as Mel, the Rani tricks the Doctor into helping her further her plans to take control of the universe. Arriving in Paradise Towers, the Doctor and Mel find that the high-rise apartment block fails to live up to its name. 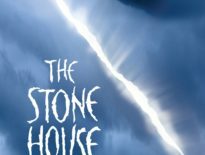 Warring gangs battle it out in the corridors, murderous cleaning robots are on the prowl, and something sinister is in the basement. Joining a group of alien tourists for an unplanned stop at a 1950s holiday camp in Wales, the Doctor and Mel discover that one of the holidaymakers is being pursued by the ruthless Gavrok and his Bannermen, who are determined to make her race extinct. I rewatched Time and the Rani a few weeks ago, and you know what? It’s not as bad as people say. It’s not. There’s nothing plain offensive about it, and it’s not eye-achingly-boring either. It’s a bit mental, sure, but it doesn’t deserve being ranked lower than the Sixth Doctor strangling Peri, or the moon turning out to be an egg… If you go into it with optimism, it may surprise you! I enjoy Paradise Towers and Delta and the Bannermen too, both as something completely different to anything that’s come before or since. I’ve read J. G. Ballard’s High-Rise so it’s nice to see the novel’s influence on Doctor Who, and I particularly like how it tries to an admittedly-surprising microcosm of society. Including cannibalistic old women. Delta‘s not the most complex of tales, and there are some cringe-inducing moments, but it’s good fun… and heck, there’s always something sinister about holiday camps! The main reason for watching these stories is simple: Sylvester McCoy. A brilliant Doctor, through and through. Doctor Who: The Complete History #30 is out now, priced £9.99 in the UK or $24.99 in Australia and New Zealand. Leave the men’s mags: it’s the partwork I want.